Ok. If you haven’t finished your Christmas Shopping, my only words at this point are overnight shipping and a quick trip to the SHOP! here at Small for Big. Beyond that, good luck and well wishes! Meanwhile. how about that winter gear you’ll need for this Holiday break and January temperatures? Snow forts are coming, if they haven’t already arrived in your yard, and One MUST be prepared! Keep pinkies warm in Mimitens. These are the mittens I wish I’d had when I was 4. Because my wrists would never have been raw and red from those crusty snow bracelets that occur around your sleeve cuffs. Thinsulate and bamboo/cotton lined for superior softness and warmth, it’s the thoughtfully long cuffs and hand-specific designs (No no no, that’s cherries on your Right! Lollipop on your Left!) that make them special. They’re easy to pull on because there’s no tight elastic cuff too. Birdie wore hers outside forever last week – they never came off her little 3 year old hands, and she never complained about them. Our favorite mittens! 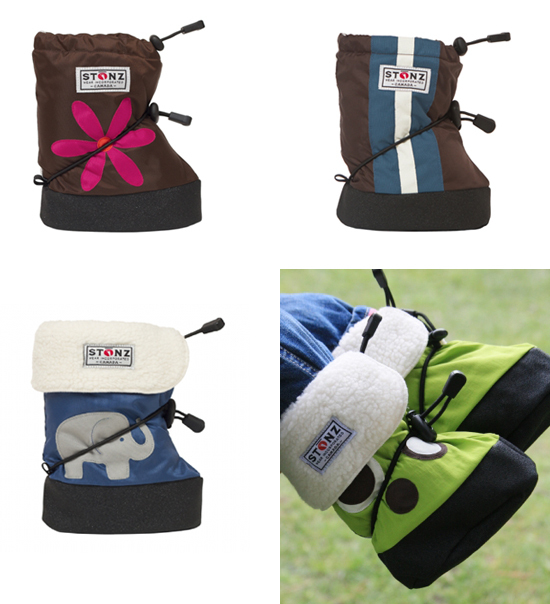 For the little piggies, you’ve got to try Stonz Booties. These are sized for smaller kiddos 0 – 3 years. The beauty of these boots is their flexibility – quite literally. They fit over shoes, with optional liners for cold winter days, and fleece-lined for fall bike rides and spring rain showers. They’re fast to put on and they stay on your toddler’s feet. This is key, considering the number of times I’ve picked our lose boots up off store floors when shopping/etc. And there’s lots of styles to keep mom happy too. See the elephant style at local favorite, Peapods. If Birdie was a year younger these would be our winter boots of choice. What’s your go-to winter gear item? I suppose if you’re in Florida it might be swimsuits? Le sigh. We love our Stonz boots! My little one is a crawler/cruiser still, so great that she can flex her little feet while learning to walk, such brilliant design and fashionable at the same time. 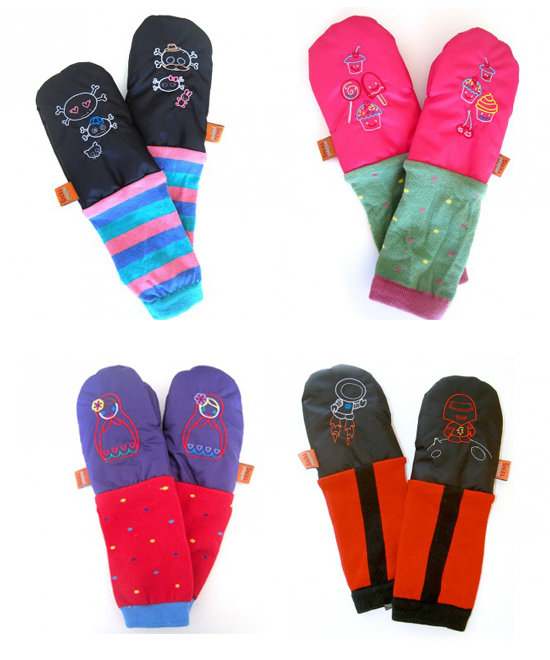 :) As for the mittens, this will be a must next year, I love the matroyshka dolls! Adorable!! I can see it being more of a challenge to rip off also, hee hee. LOL, yep. Those mitten are hard to pull off without parent intervention! Score! Previous post: music to my ears!